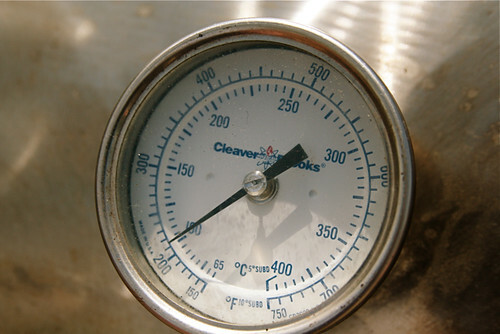 The USDA announced that an internal temperature for pork can be achieved at a temperature of 145 degrees. This replaces the old guideline of 160 degrees. I came across this story in the USAToday Article, USDA now says pork can be pink, at 145 degrees. The new regulations were put in place after it was determined that salmonella would no longer be a factor at a certain temperature. Pork enthusiasts are more excited about the fact that more juices and tenderness will be present at the lower temperatures. I agree with the article that the news will not bring a rush of people to pork, but I think it will help educate people about cooking meat at proper temperatures. It is also important that people take the time to check the temperature of any pork or beef to insure proper cooking does occur. Are you a pork enthusiast? Check out this new Pork Be Inspired Video regarding the 15 degree temperature change (It’s only a minute long) .